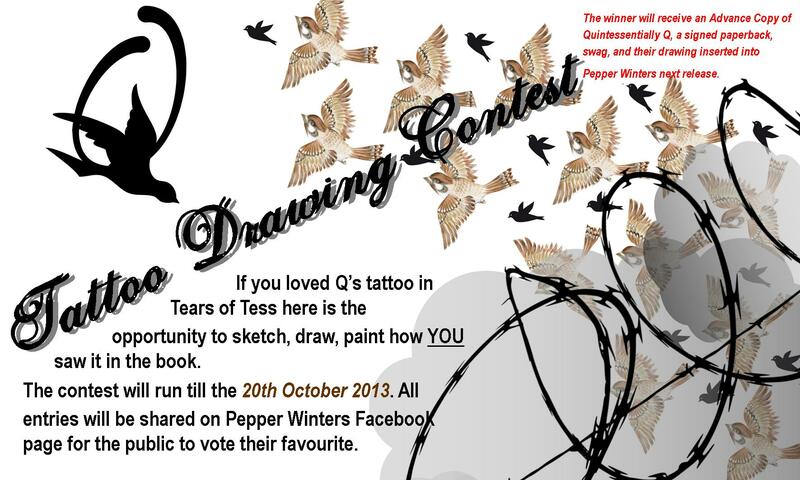 If you loved Q’s tattoo in Tears of Tess here is the opportunity to sketch, draw, paint how YOU saw it in the book. The contest will run till the 20th October 2013. All entries will be shared on Pepper Winters Facebook page for the public to vote their favourite.